For you iPod Age-rs, who might not know what a record changer was, I will now enlighten you – in the days when music was marketed in the form of 10 or 12-inch black shellac discs, both sides of which were inscribed with spirals of fine, wiggly grooves, we were sold an item that was not only unnervingly fragile, but contained a mere three to five minutes of music per side. Imagine!!! These discs were usually played individually by carefully placing them onto a felt covered turntable with a short-rounded center spindle that fit exactly into a hole in the center of all such discs. After the turntable was sent in motion, the speed adjustment lever was set at 78 revolutions per minute. You gently lowered a swiveling arm, tipped with a changeable steel needle, onto the beginning of the spiral groove, near the edge of the disc. For reasons too technical to go into here, the wiggly groove wiggled the needle in such away as to roughly recreate the sound of music which was created by another needle in a recording studio, cutting the original wiggly groove in a wax master disc. Is that clear? Anyway, as this was definitely not the American way, a highly sophisticated machine was developed which could do all this mechanically, and not for just one disc, but up to ten discs at once! The turntable of the record changer device had a tall center spindle onto which about ten records could be stacked, and held high enough over the turntable by metal “fingers,” to allow the pickup arm to swing freely below. At the end of the pickup arm was a small vibration sensitive electric “cartridge, into which was inserted the steel needle, tightened in place by a tiny thumbscrew, which worked best if you had tiny thumbs. When the music on the disc ended, the needle was led into an offset circular grove which caused the pickup arm to swing back & forth, alerting a clever mechanism which performed an elaborate mechanical dance, with the pickup arm lifting and swinging back out of the way as the metal fingers supporting the stack of records shifted, allowing the bottom disc to fall. The arm then returned to precisely the proper position and gently lowered itself onto the leading groove the disk that had dropped into place. Thus the listener could sit back or carry on with a task a hand while enjoying a half-hour more-or-less concert of the “A” or “B” sides of 10 records. That was the state-of-the-art genius of the mechanical record changer! 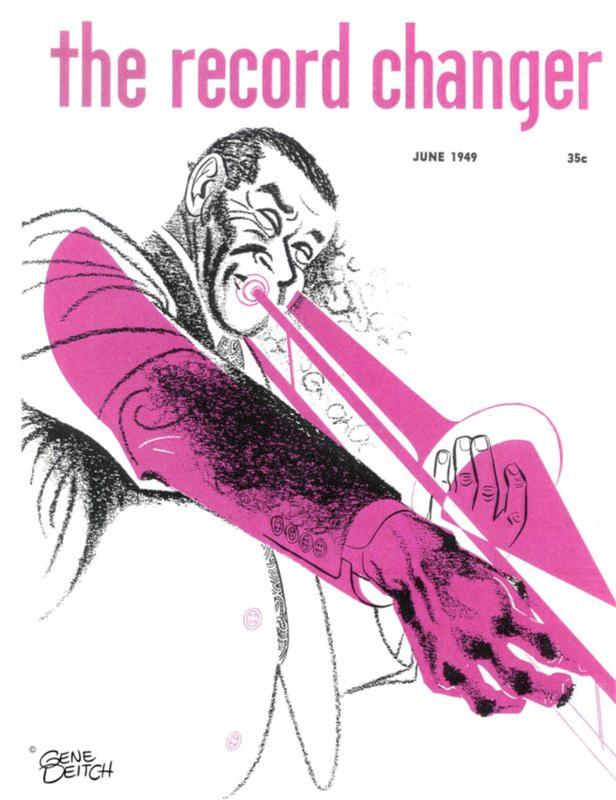 But the “Record Changer Magazine” had nothing to do with the mechanical record changer shellac disc player. I’m only giving you a run-down on the machine’s workings to illustrate the pixilated humor of Gordon Gullickson, who cleverly co-opted the name of the gadget as the name of his magazine, with the sense of its function as a ‘record ex-changer,” a service to collectors wishing to find and trade rare records, specifically rare jazz records. 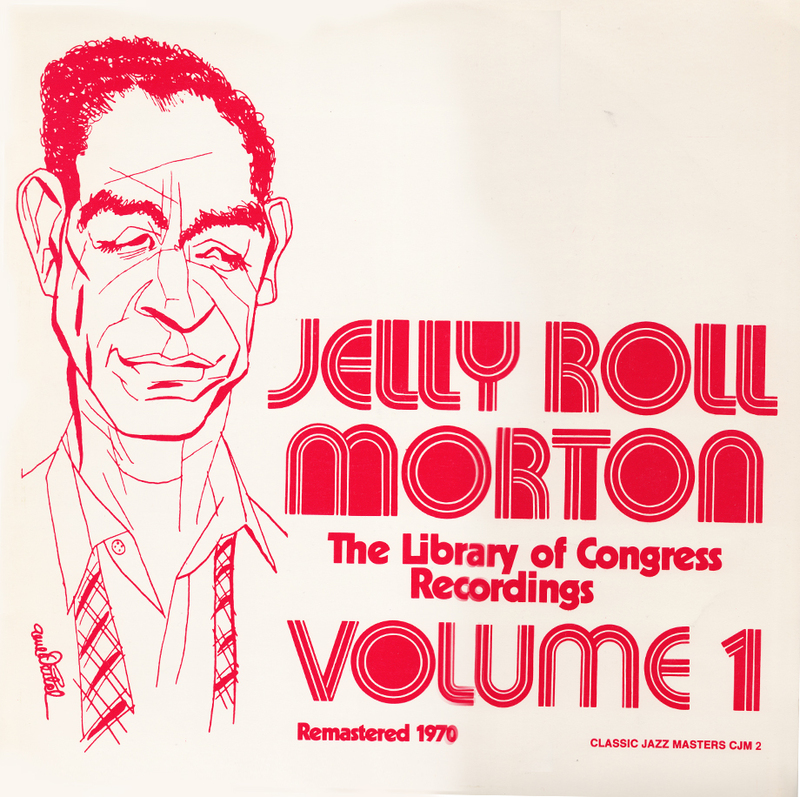 At the time such records were virtually impossible to find in any Main Street or even Side Street record shop. The sharpie title showed that there was a man of wit behind what could have been seen as merely a dull classified ad booklet. In fact, it had already evolved from a folded sheet of listings to a small format lithographed magazine format with a cover illustration and a few articles of music criticism and comment. 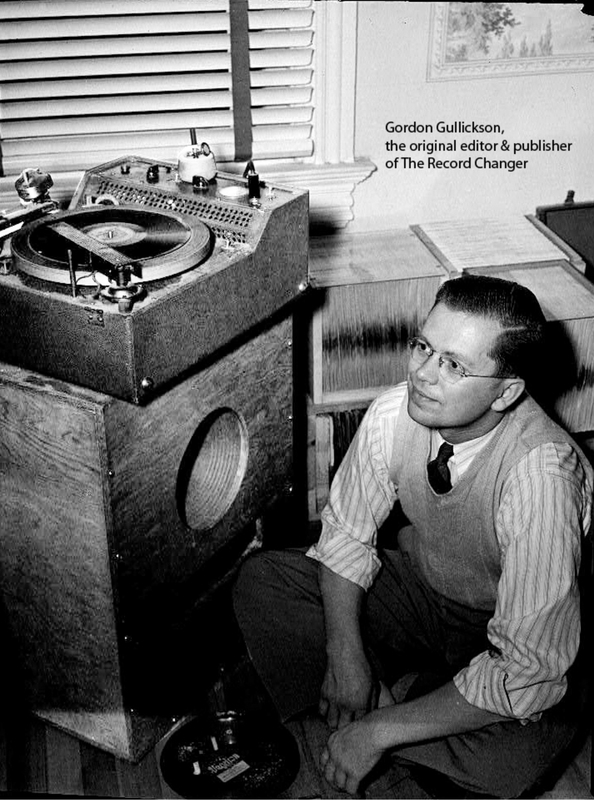 Suddenly, with no advance notice, Gordon announced in his monthly personal column, „LEMME TAKE THIS CHORUS,“ that he was selling THE CHANGER. I never knew why. He vanished from my life. 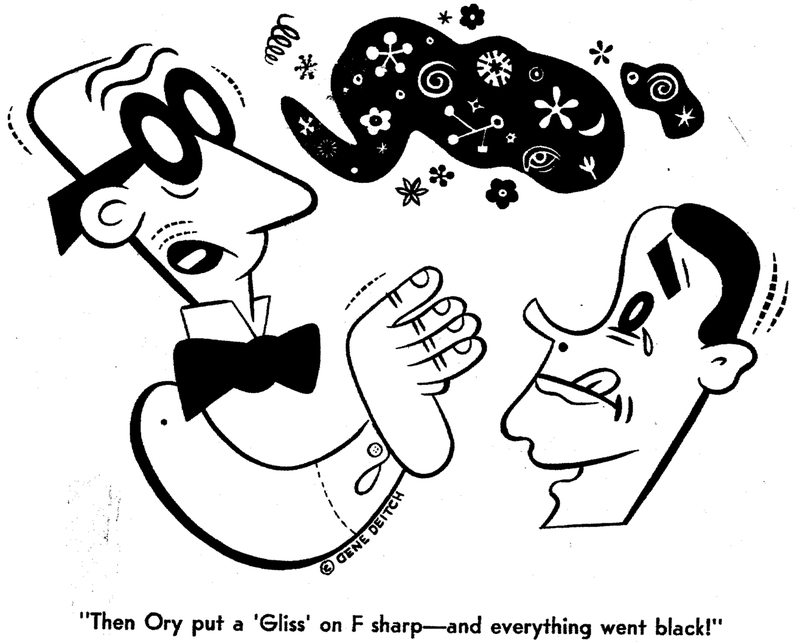 Even though I had become the magazine’s art director, the task was increasingly joyless with Gordon gone. 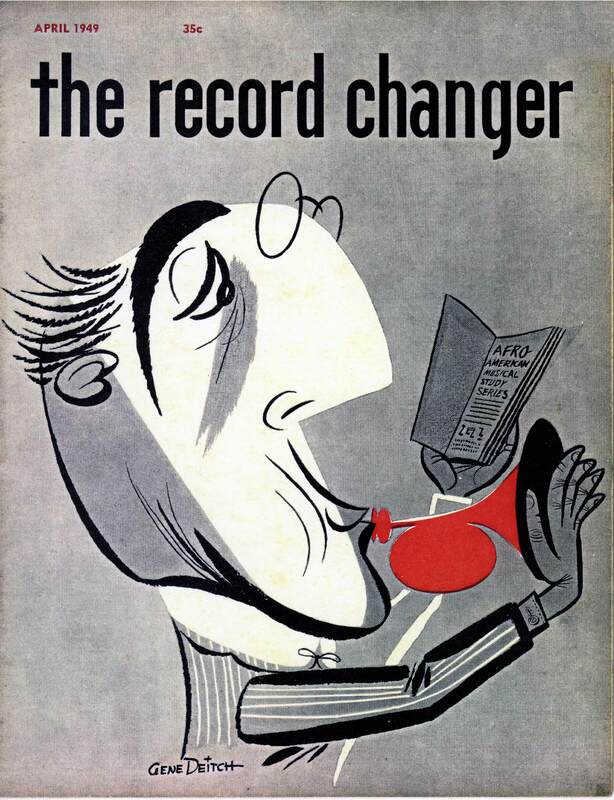 I finaly left The Record Changer at the end of 1951, but my work on the magazine had formed my personal graphic credo, and led directly to my career in animation. 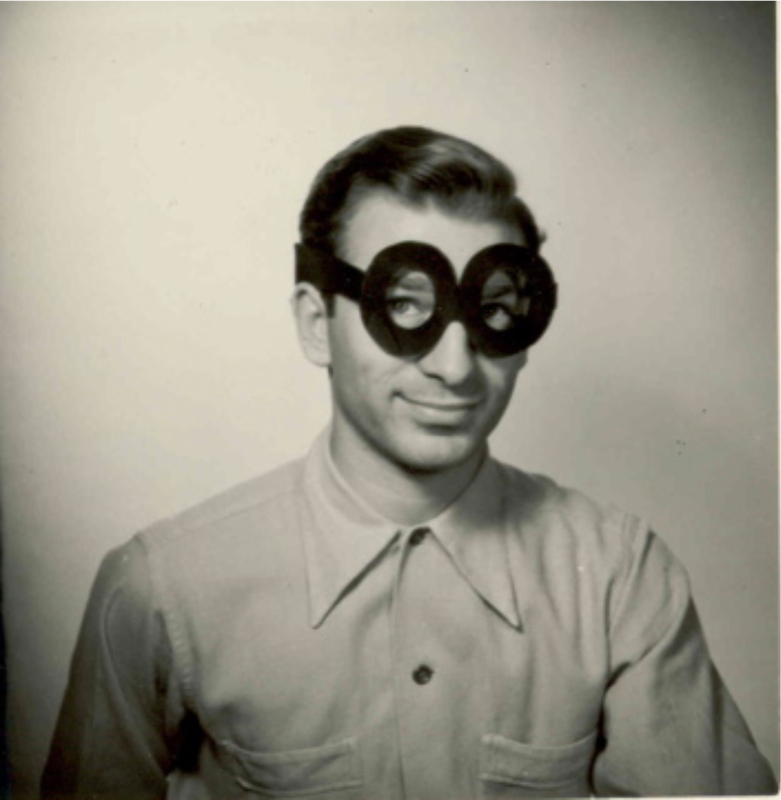 This is the photo of me in 1946, “as The CAT,” that I sent to Gordon Gullickson at his request. I had become The CAT! I discovered this LP in a Stockholm record shop; surprised to find my drawing on all 12 volumes! 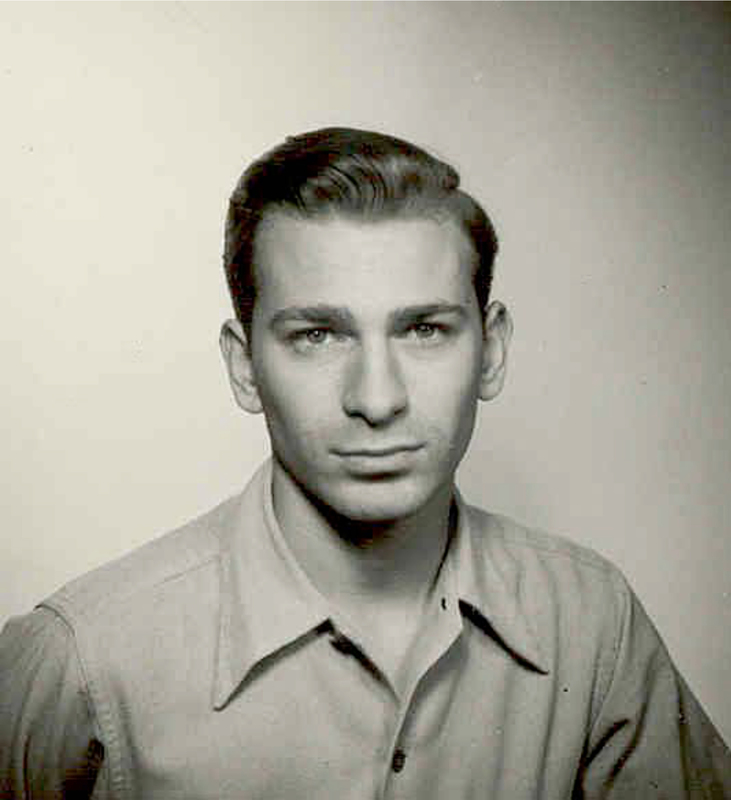 It was very nice to see a picture of Gordon, my Grandpa. 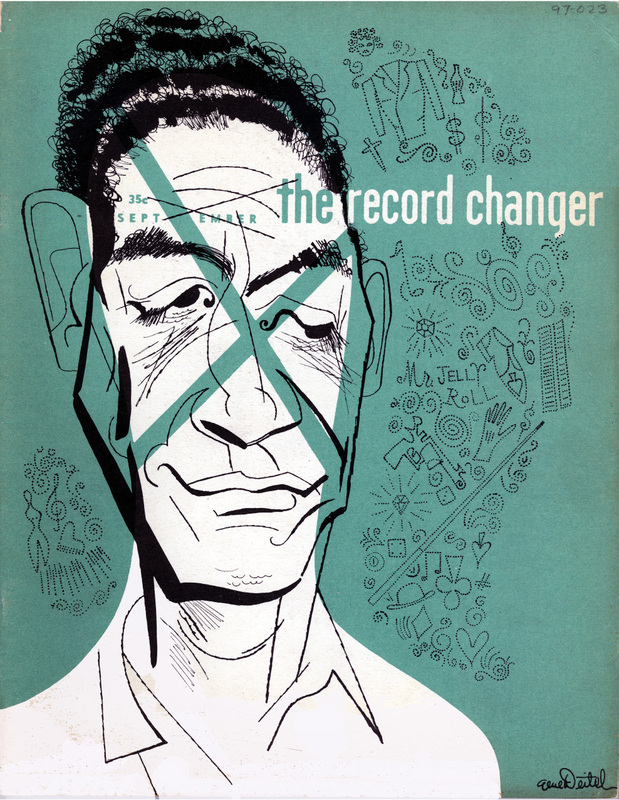 The very first time I ever saw the cover of the (Record Changer) magazine, I thought to myself, the Artist who drew this cover was a very interesting Artist. I didn’t ever know you two corresponded long-distance and never met . I have a few pictures of him if you like a few more, also I have his Boy Scout card from 1929, yes he was a boy scout to. I was very lucky to have a Grandpa like him, he was very funny, played the piano very well, and I never wanted him to stop playing. He was very kind and we lived with him for six years in Annandale, Va.
I’m grateful for your message, Elizabeth. 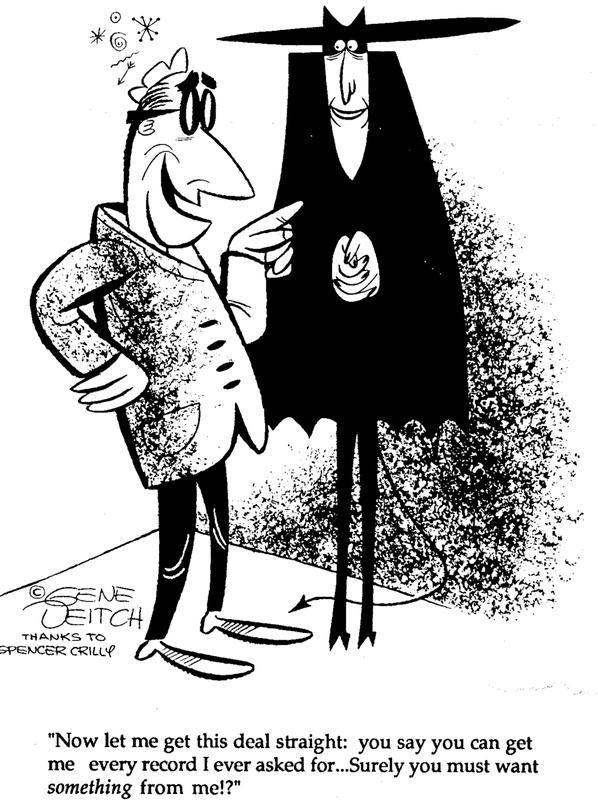 and I will be even more grateful for more photos of Gordon Gullickson, who played such an vital role in launching my career as a cartoonist! Thank you! Another great post. The hits just keep on coming. That original is more than I have, Seth. 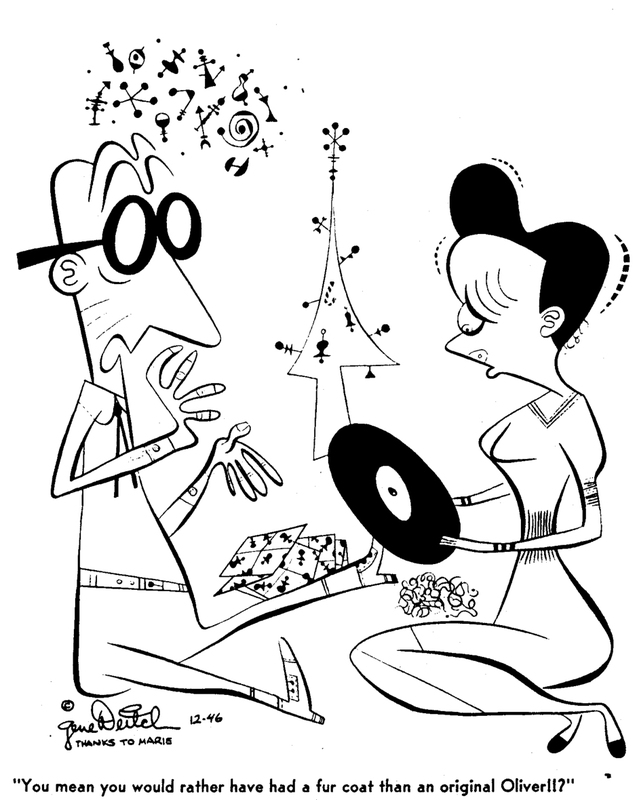 I don’t have a single original of my CATtoons published in The Record Changer! I’m lucky enough to have a couple of copies of The Record Changer and an original CAT cartoon has an honored place on my wall.